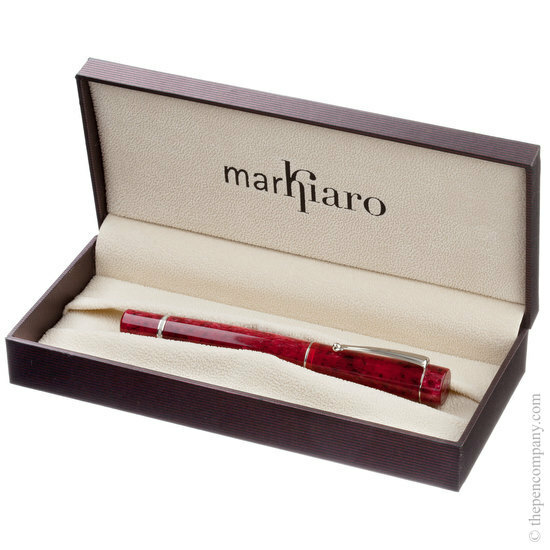 The Markiaro Trentaremi series is an attractive range of resin-bodied pens. Designed and manufactured by Delta exclusively in Italy, the Trentaremi comes with a Delta lifetime warranty. Each piece is turned from a solid bar of Italian acrylic resin, carefully mixed to achieve a beautiful pearl effect. 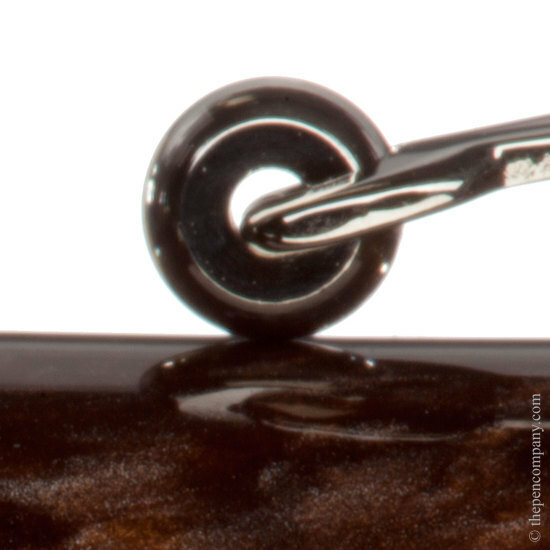 Once machined, each part is hand-polished to a deep lustrous finish, developing the subtle characteristics of the resin. No two pieces are the same. 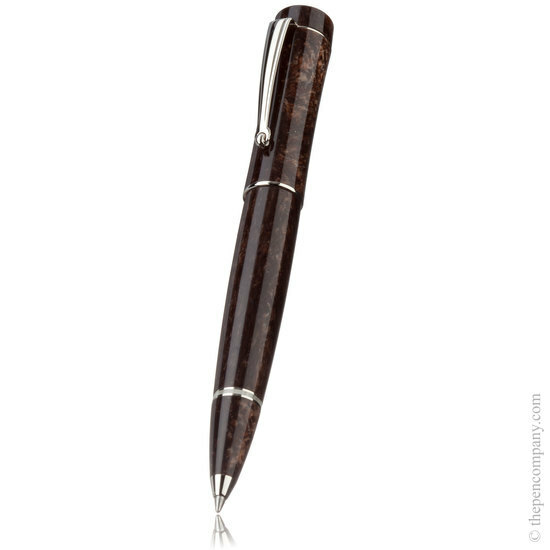 The pens are assembled with a three part contrasting decorative band and 'rolling wheel' sprung clip, and the caps are finished with a polished metal ferrule. 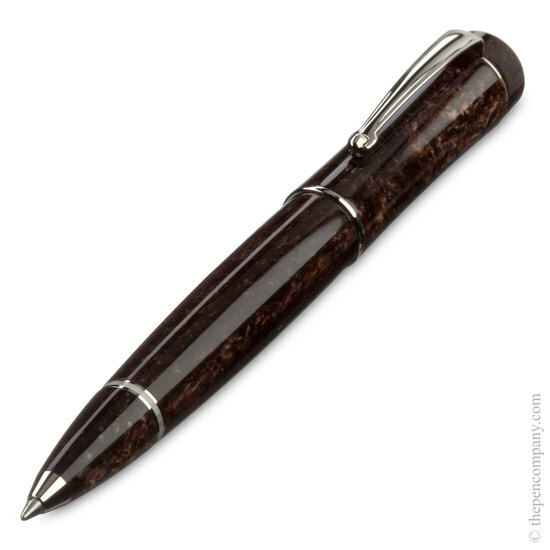 Each variant of the Trentaremi range is beautifully shaped with a subtle curving form, which not only results in a pen which looks beautiful, but which is also good to hold and to use, with a very satisfying tactile feel. 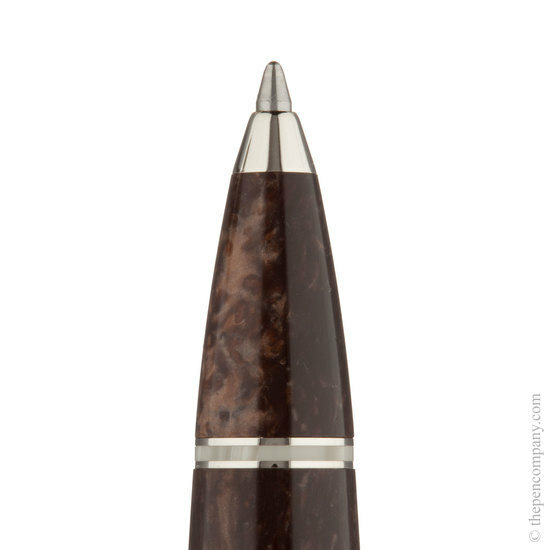 The Trentaremi is available as a fountain pen, rollerball pen and ballpoint pen.